All prints are hand-signed and numbered. Only $60 each, plus $5 shipping (USA). Canadian customers will be sent a supplemental Paypal shipping request for $10USD, and all other countries $18USD, soon after you place your order. 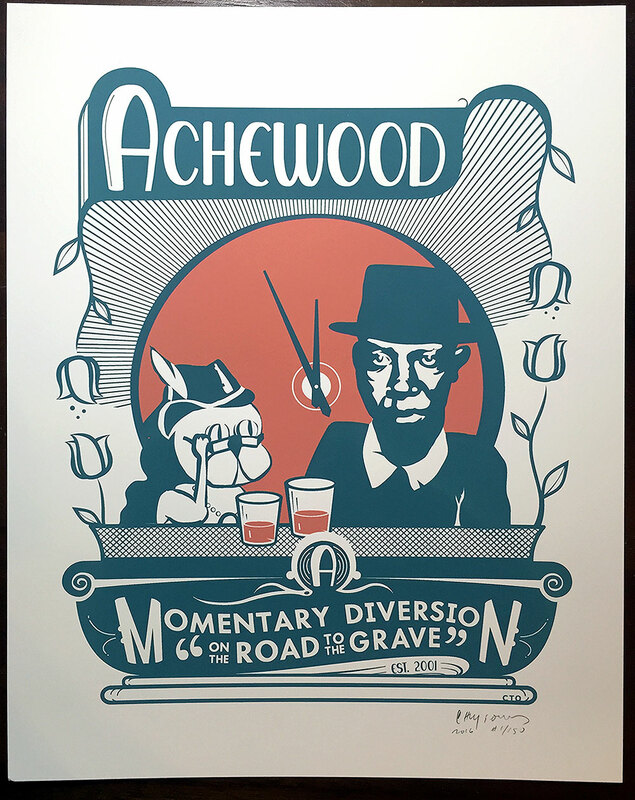 Each print is on thick, archival, 100-lb cover stock, and is 11″x14″, consistent with all previous Achewood silkscreens. 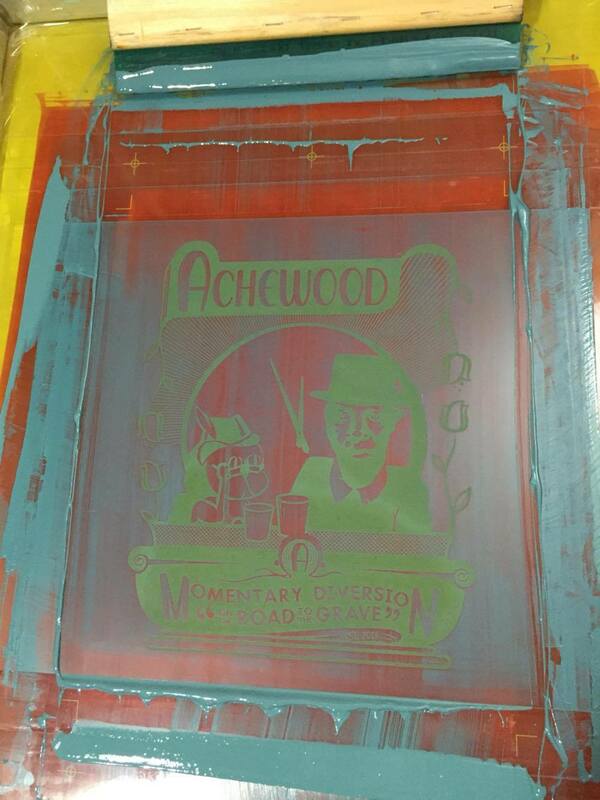 A brand new hand-pulled silkscreened print to usher out 2016. Run of 100. Numbered and signed at bottom. 11″ x 14″, 100lb cover stock, as with all our previous prints. Print will arrive bagged, flat, in a rigid corrugate box. First issued in 2004, this updated screen of Ray in Hell with Robert Johnson now has a new color scheme and siiick color palette. 150 were printed. Can you find all the hidden elements? 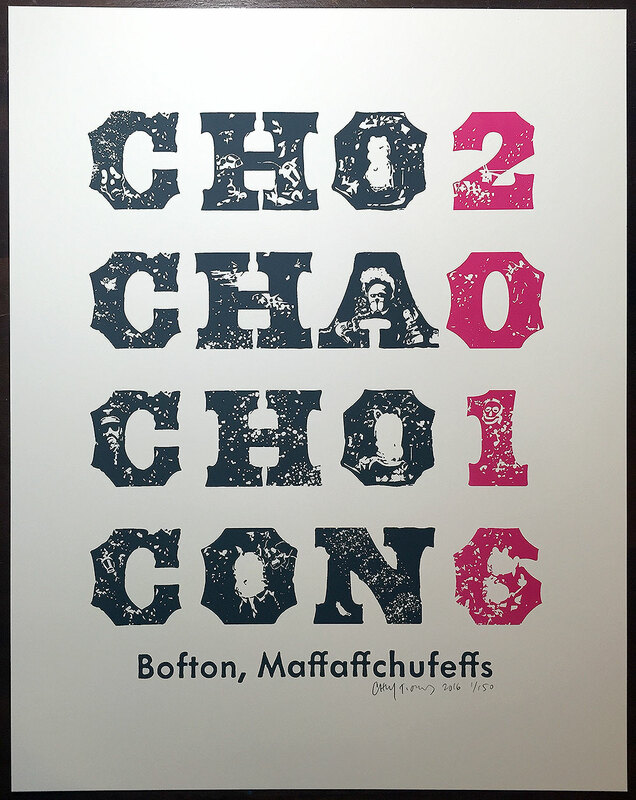 This is the silkscreen I designed for ChochachoCon 2016, held on June 27 in Boston, MA. 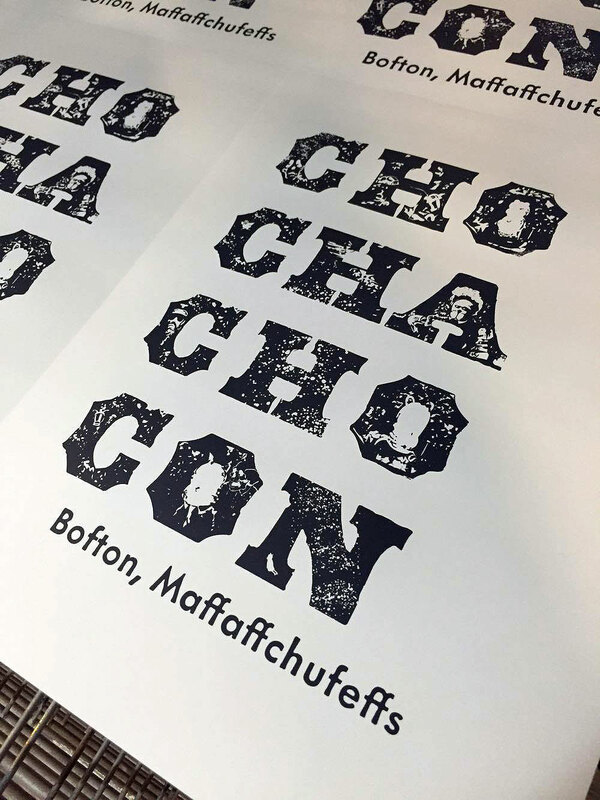 150 were printed. We have shipped hundreds of prints and pieces of original artwork worldwide without damage. 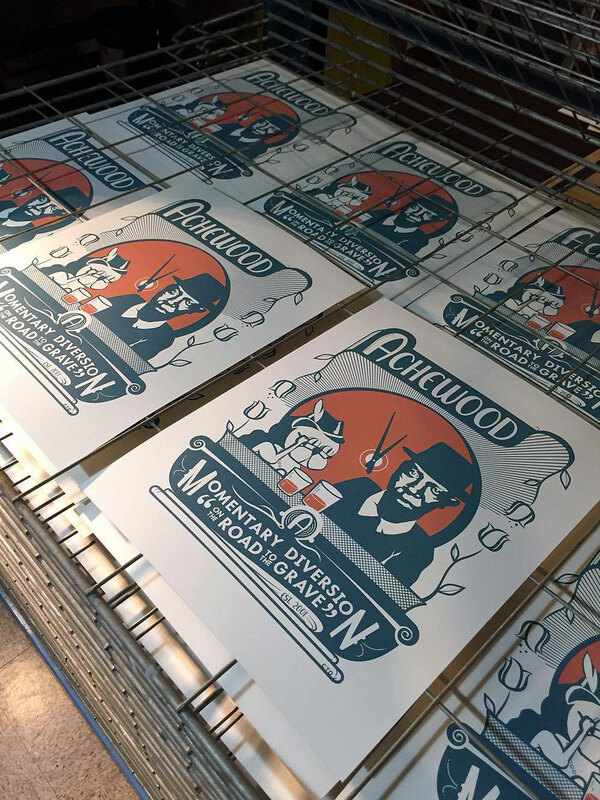 Prints beautifully hand-pulled by Michael at Iron Canvas Studios, Portland, Oregon.